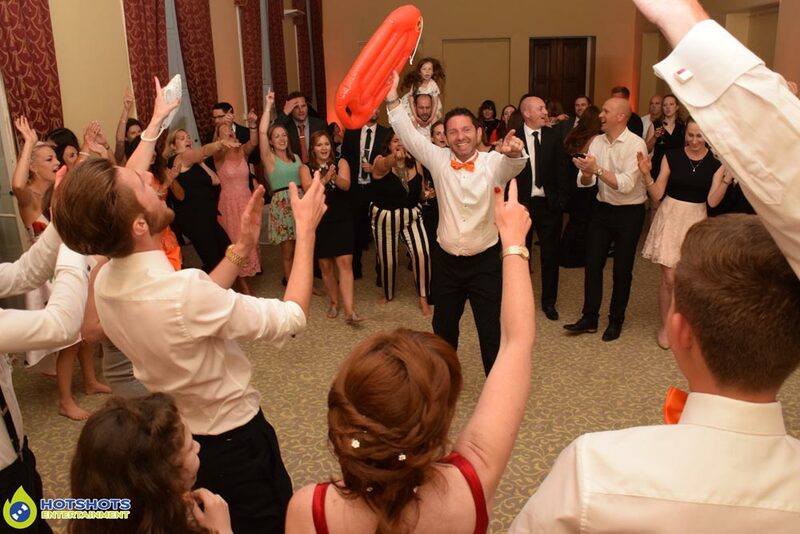 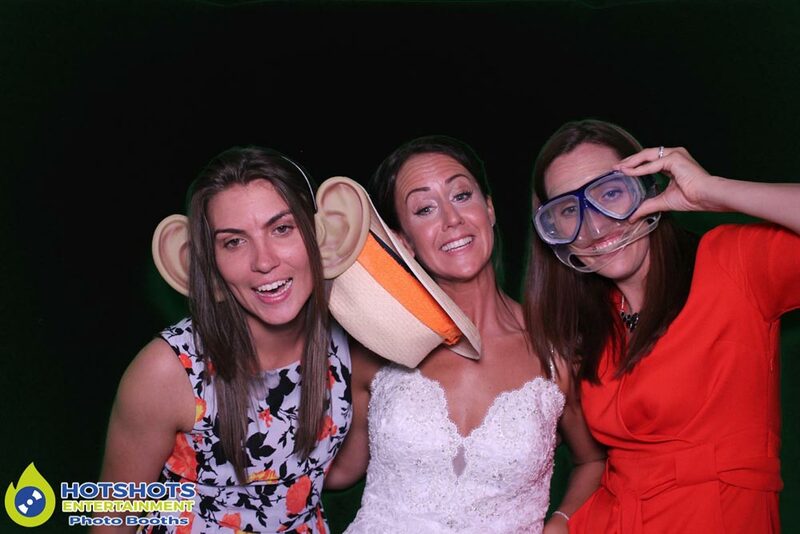 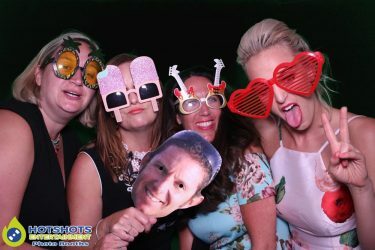 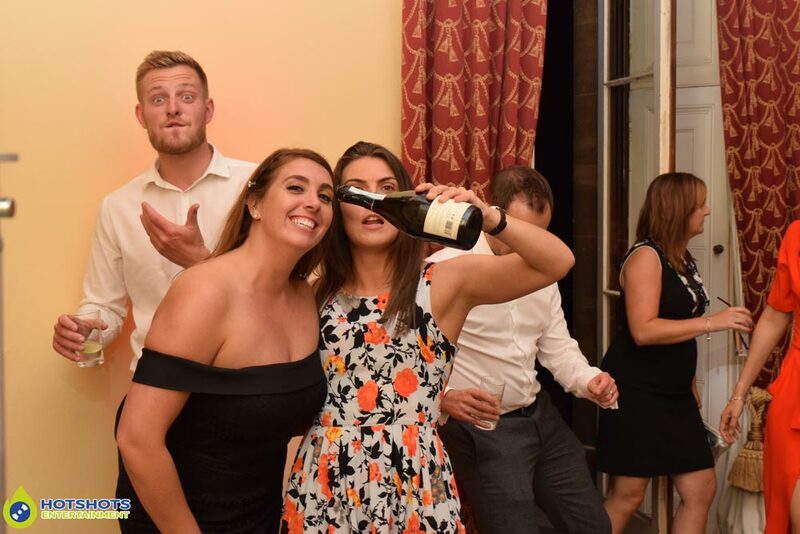 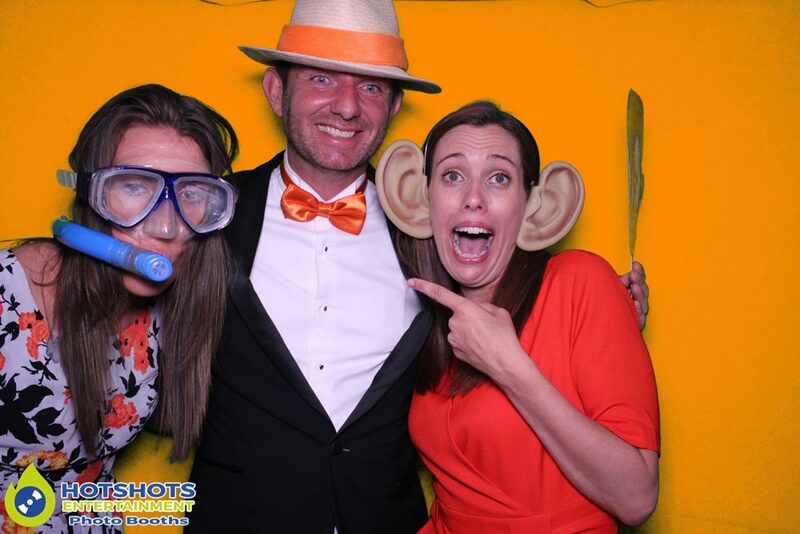 Congratulations to Mr & Mrs Hampson who got married at the lovely Leigh Court on the 16th June 2017, they booked in with Hotshots Entertainment for a Platinum disco with a 3 hour inflatable photo booth hire. They started off the early afternoon with a Jazz band playing outside & had the perfect weather for it, everyone was outside chatting & listening to the music, after a couple of hours it was time for the band to finish & everyone to make their way inside to see the happy couple cut their cake (which looked fantastic). 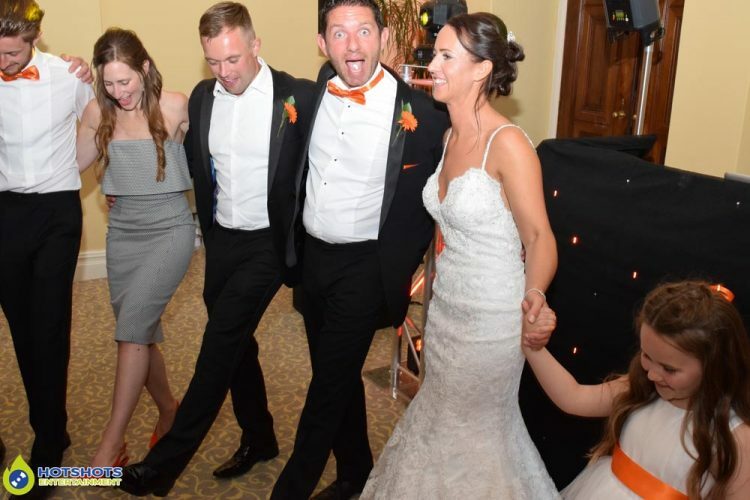 Once they had finished cutting the cake it was back into the main room for the speeches which were from Chris (Jo’s Dad) then the groom & last but not least the best man, they all did a splendid speech. 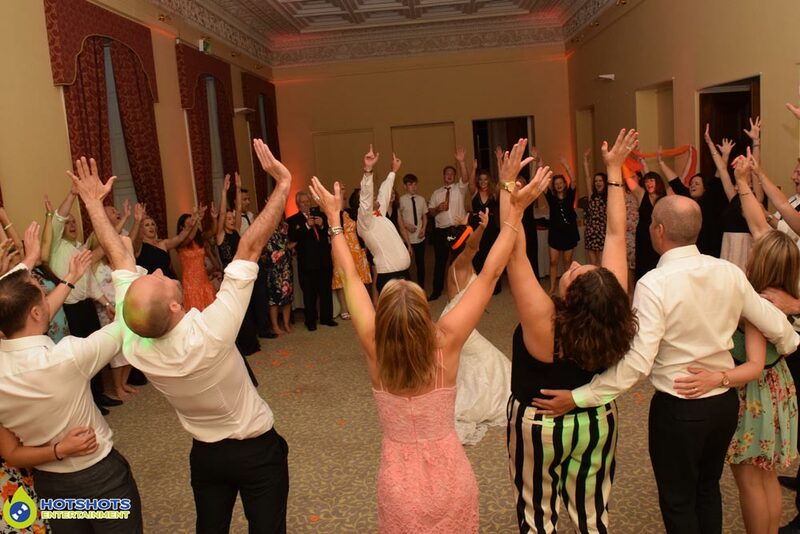 It was then time for the first dance which was Ed Sheeran’s Tenerife Sea, such a lovely song for a lovely couple after the photo booth opened & freshly made Fish & Chips also there was freshly made Pizza, the staff did a great job with everything. 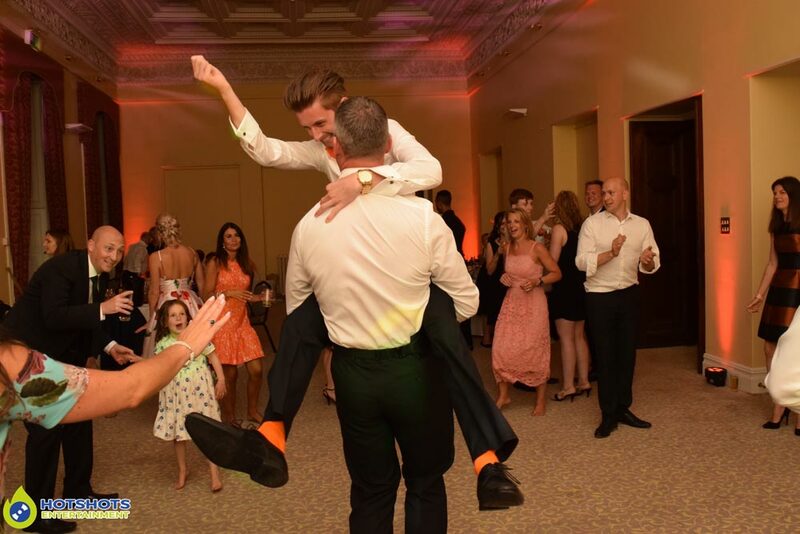 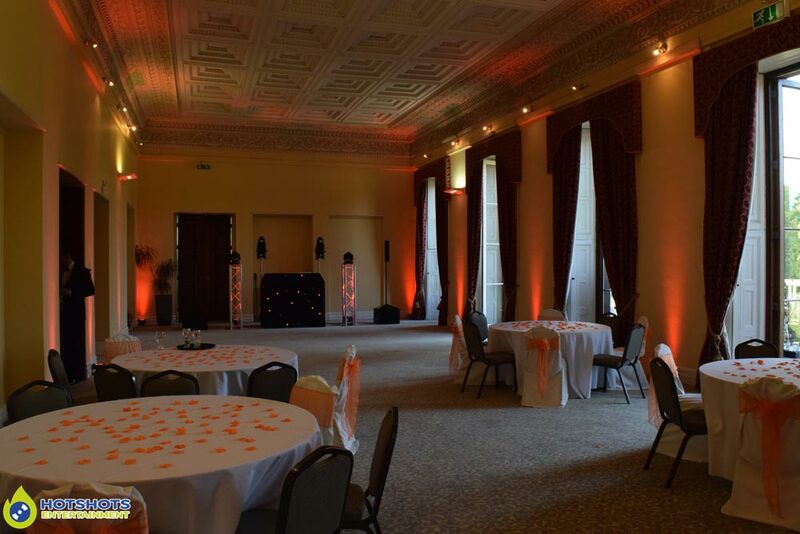 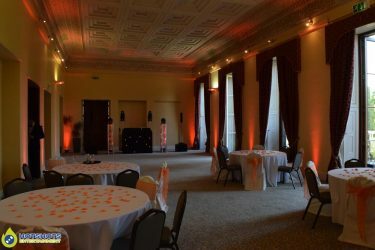 The chosen colour scheme was Black & Orange, so in the booth, we had Black & Orange backgrounds with a black template, inside the main room with the disco we put the uplighters around the room in Orange & it looked stunning. It looked like everyone was having a great time with plenty of smiles, laughter & dancing, & even a little bit of Baywatch. I did also take some pictures in the evening you can see a few below & the rest of the disco ones you can find HERE & the photo booth ones HERE, please tag & share if you dare, you’re more than welcome to use them for your profile pictures print them off etc etc. 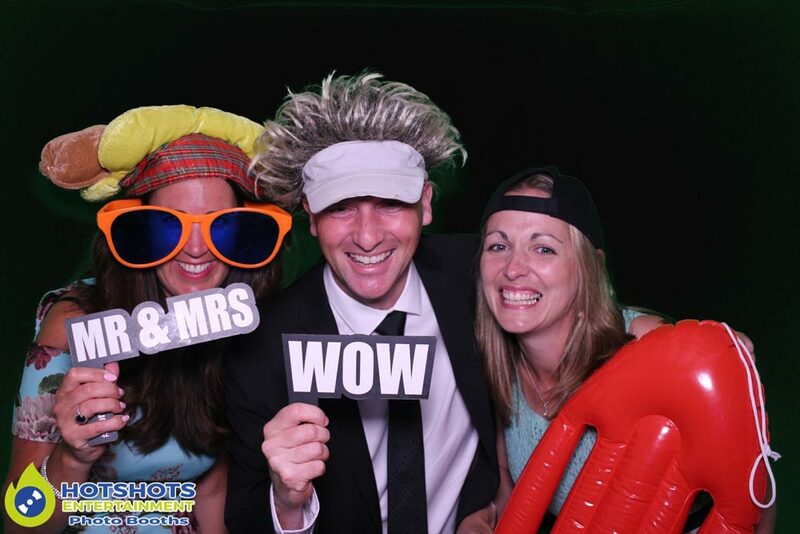 Thank very much for booking with Hotshots Entertainment & I wish you both many years of happiness together.